I love the occasional sweet indulgence- especially when I am at work all day and need a mid-afternoon pick-me-up. However, now that the weather has warmed up tremendously, the thought of labor-intensive baking and working with the oven really turns me off. When Pure Genius Provisions reached out to me to see if I would review their allergen-friendly brownies and blondies, I agreed in a heartbeat. First encountering these bean-based baked goods at Expo East (their world debut) last year, I promptly fell in love at first bite and could not wait for my second chance to encounter them again. 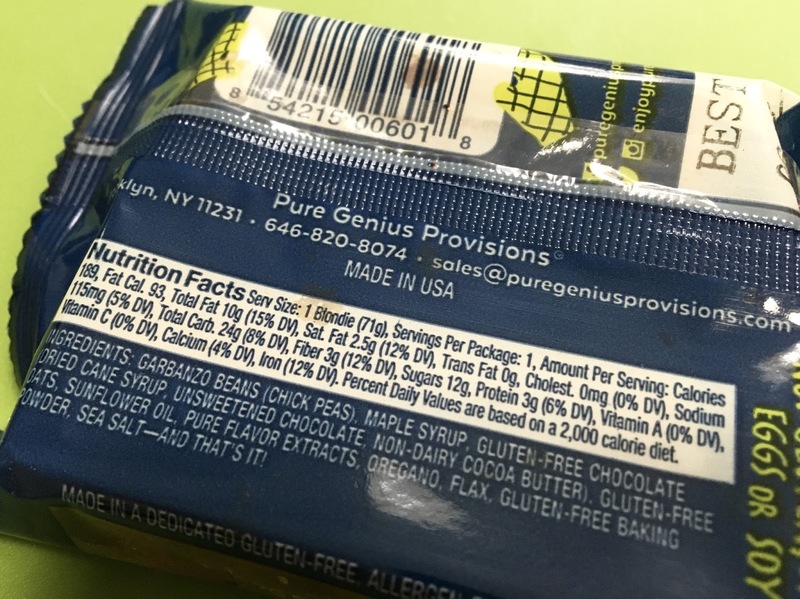 Since their debut almost a year ago, Pure Genius' distribution is expanding- they are hitting Whole Foods shelves in the Northeast soon- and the buzz is growing around these table-turning treats. Read on to learn all about these kid-friendly products and enter to win some to try for yourself! Their brownie and blondie are based on garbanzo beans (hello protein and fiber!) and sweetened with dried cane juice and maple syrup, wholesome sweeteners. Not do these baked goods come with a halo, but they are perfect for stashing in lunch boxes for kids and adults alike because they are so allergen-friendly. The brownies are definitely fudgey, chewy and soft-baked with a rich chocolate decadence that definitely rivals any homemade or bakery-made brownie. They are moist and have a nice density to them that made me relish every bite. 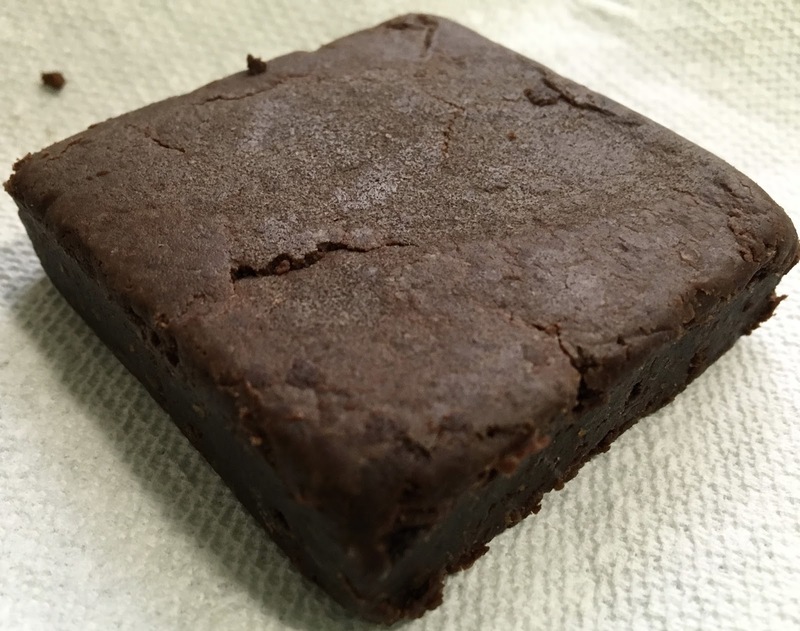 The portioning is perfect, with the whole brownie ringing in at less than 200 calories- a guiltless indulgence. If the brownies can hold their own against far more unhealthy versions, the blondie really stole my heart. I love how they are a blend of a chocolate chip cookie and a brownie, with wonderful vanilla base juxtaposed with the thick richness of the chocolate chunks. The texture is soft-baked and again here the portioning is perfect allowing for a sweet treat that doesn't break the calorie bank. 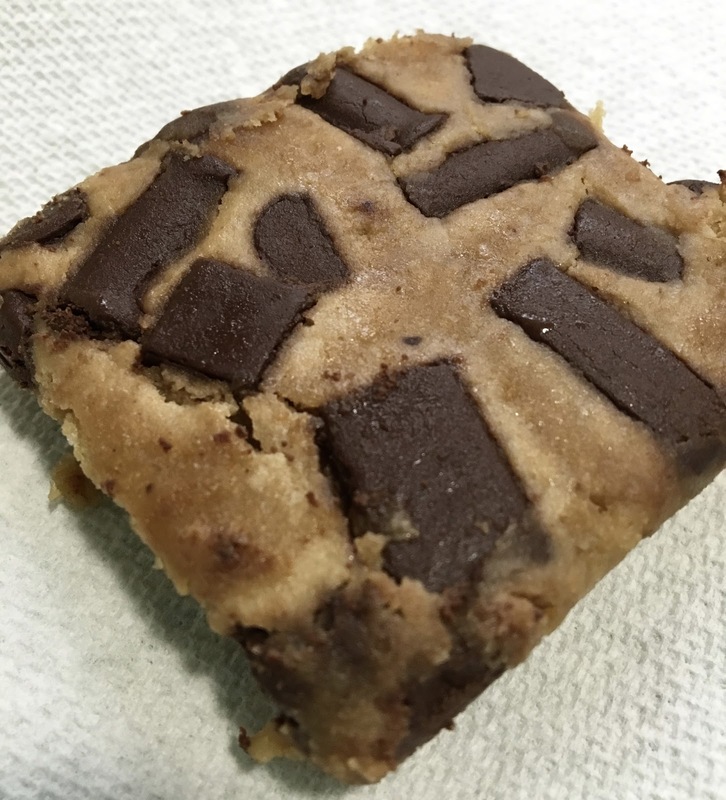 I love my homemade blondies- but they are laden with butter and coconut sugar- so these are a nice satisfier when I don't feel like making a whole pan. 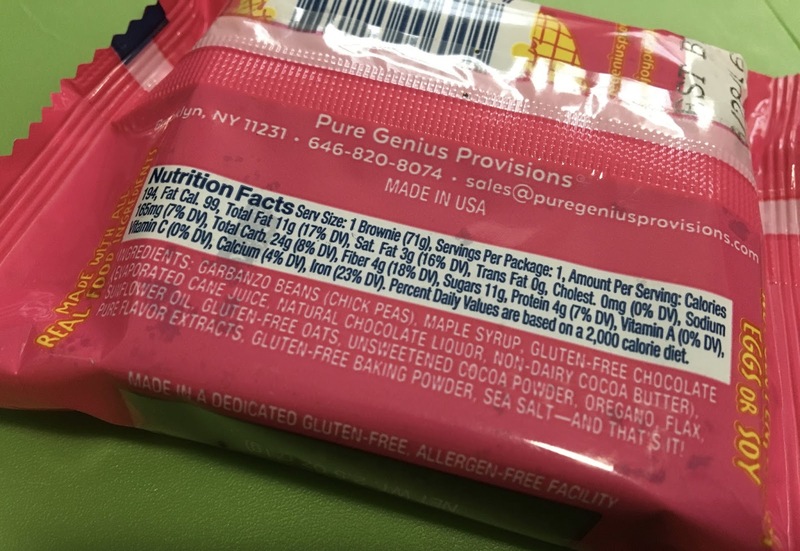 I am definitely a fan of Pure Genius because they allow me to satisfy my sweet tooth without betraying my attempt to keep my sugar intake in check. Yes they are sweet, but their sugar load pales in comparison to comparable sweets and sodas that you could turn to. 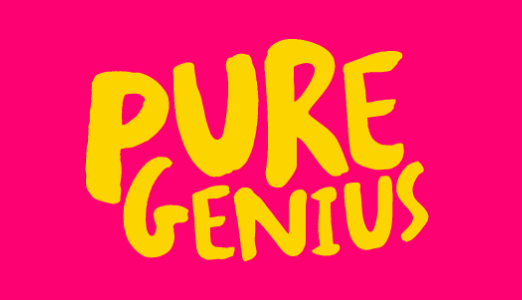 In the DMV area, the only stores selling Pure Genius currently are located in Crofton, MD and Warrenton, VA (see all locations selling Pure Genius products). You can also order these treats online right here. Because Pure Genius wants to help me share my enthusiasm for their products, use the code GFDFREVIEW for 20% off any product, expiring on July 31st! What are you waiting for? Order some for a quick and easy solution to the summertime cookout dessert dilemma. But wait, there's more! 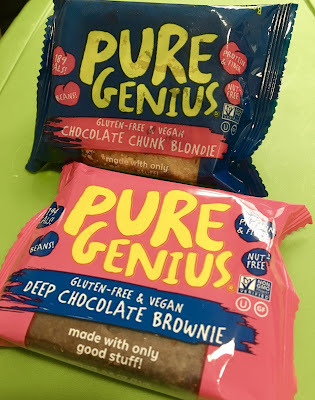 Pure Genius has teamed up with me to sponsor a giveaway of a sampler of their products, one brownie and one blondie. I'm drawing a winner on June 27, 2016, so enter today for a chance to win a free sample on us. Disclaimer: This review is current to the original publication date. Updates will be noted. Ingredients and manufacturing processes can change without notice. Each product should be reviewed for individual nutritional needs. Feel free to to contact me with any questions or comments. Pure Genius Provisions sent me samples free of charge for review purposes, but the review is a reflection of my personal opinion.